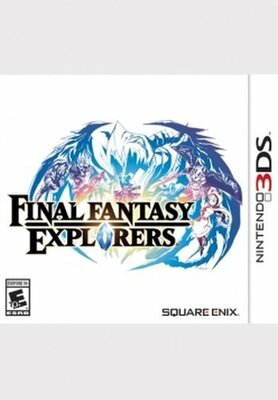 A Four Player Adventure: Band together with up to four other players either locally or afar via the Nintendo 3DS wireless communication. Form strategies together to take on challenging dungeons and powerful bosses! Highly Customizable Characters: Customize jobs, weapons, armors, accessories, and abilities to suit your individual taste and play style. No two Explorers are the same. Over 20 Jobs to Explore and Master: Take up your favorite FINAL FANTASY roles, from series classics including Knight, Dragoon, and Black Mage to the highly specialized Samurai, Time Mage, Dark Knight, and more. Classic FINAL FANTASY Monsters & Characters: Recruit, level up, and fight alongside classic FINAL FANTASY monsters and transform into legendary figures from the storied franchise, including Cloud, Squall, and Lightning. Over 100 Hours of Gameplay: With over 200 quests, 20 jobs, and endless party configurations to discover, players never have to stop exploring.